A few months have passed since Mildred Hayes’ (Frances McDormand) daughter was raped and murdered in Ebbing, Missouri. The police in the city essentially do not strive to get the case solved and find out who did these disturbing acts upon Hayes’ daughter, and work on solving other crimes instead. 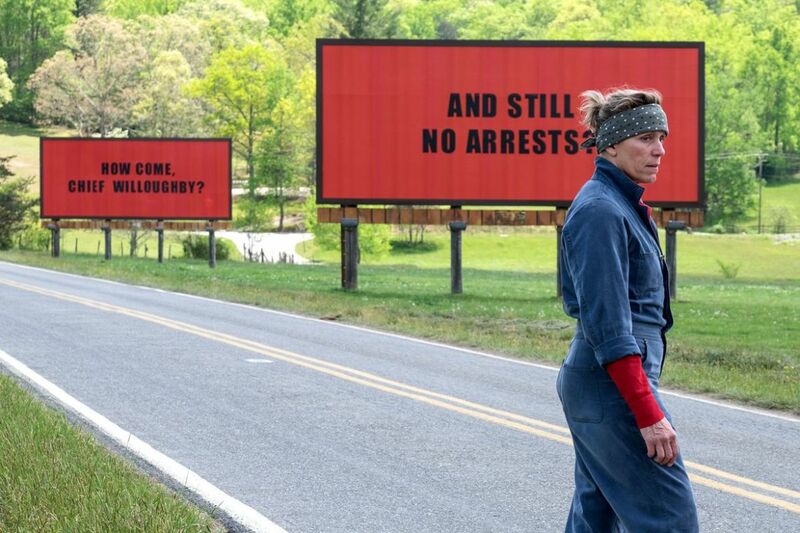 Understandably furious about this, Hayes takes it upon herself to taunt the police station in Ebbing, Missouri, by placing three billboards outside of the city. The billboards read “RAPED WHILE DYING,” “AND STILL NO ARRESTS?,” and “HOW COME, CHIEF WILLOUGHBY?” This prompts the police to get angry with Hayes as they feel that the billboards are a threat to the police. It is truly incredible how amazing Frances McDormand is in “Three Billboards.” Her performance is to me, the best she has ever given in a film thus far, as it is such a raw and emotional role. Throughout the entire film, you desperately want her character to find out who raped and murdered her daughter. 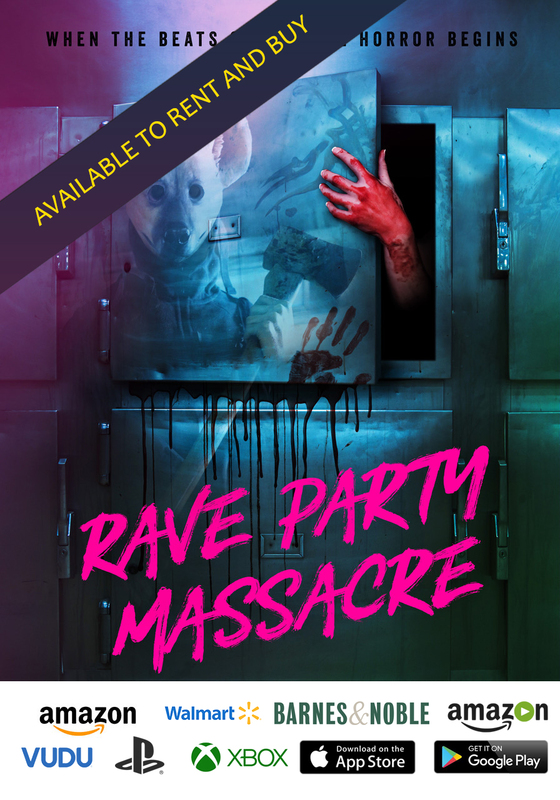 Several scenes in the motion picture show us events that transpired in the past which provides a deeply depressing background, on top of the already depressing present-day story. McDormand is truly Academy Award winning worthy in “Three Billboards,” and I hope she gets at least a nomination for Best Actress in a Leading Role. Also, Sam Rockwell who portrays Jason Dixon, a police officer is a great character too. I do not want to delve extremely deep into these characters as I went into the film only knowing about one character; that of McDormand’s. So many scenes in “Three Billboards” regarding particular characters took me completely by surprise and they were exceptionally well done. Almost every character in the film has an amazing character arc which I found fascinating, mostly in Rockwell’s character. Additonally, I found Woody Harrelson’s character of Chief Willoughby to also be interesting, and, he too has an amazing character arc that I never saw coming. McDonagh really knew how to craft intriguing characters that will always keep you wondering what they will do in the next scene. He also knows how to craft a beautifully told film with a great message. When you boil it down, “Three Billboards” is a film about revenge, and how far somebody will go in order to have revenge. The film also boasts absolutely incredible cinematography by Ben Davis. Nearly every single scene in the film has extremely well-done camera work and it is one of the most beautifully shot films released in all of 2017. 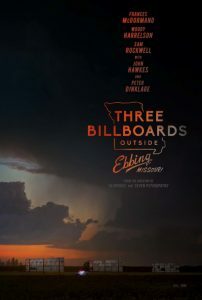 “Three Billboards Outside Ebbing, Missouri” is one of the most well-written and directed films in the past few years. The story behind the film is majorly depressing and there is not a single moment in the film where you do not feel sympathy for McDormand, who, also, gives the best performance of her entire career.